The great gin cocktail quest of 2010 continues with more successes than failures and I have another winner for your drinking enjoyment. 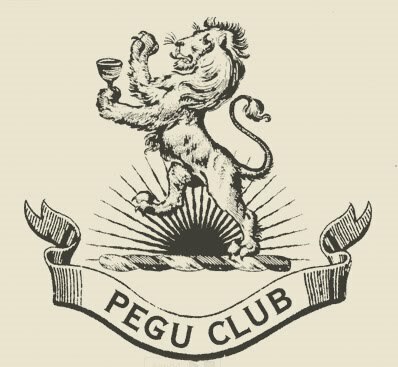 The Pegu Club is a fairly simple, easy sipping cocktail, perfect for warm summer nights, the tropics, and while visiting your favorite junta ruled totalitarian state. This cocktail originated during the 1920s in The Pegu Club in Rangoon. As a far flung outpost of the British Empire, Burma offered few of the creature comforts for which your average Brit yearned, save for a classy gentleman’s club to gather with the boys, enjoy a cocktail, and toast the Queen. The house cocktail spread through the empire and the rest of the world, appearing in Haddocks’s tome, The Savoy Cocktail Book in 1930. This cocktail is a true crowd pleaser. Men and women, gin lovers and haters. Everyone that I have mixed this for has become an instant fan. It has the perfect combination of sweet, sour and bitter, not to mention it packs a pretty hefty punch! The version I prefer uses two types of bitters, some recipes call for only one. While I have found that the taste difference is nearly indiscernible, I like any excuse to use all the bitters that I can. Start with 2 ounces of gin, I like Plymouth in this drink, but any good London dry gin will work. Next add ¾ ounce of Cointreau and ½ ounce of fresh squeezed lime juice. Kaffir limes are the most authentic, but can be difficult to find. Lastly add a couple dashes of orange bitters, a couple dashes of angostura bitters, shake and serve with a lime slice as garnish. Add all ingredients to your shaker, fill with ice. Shake vigorously. Pour into a chilled cocktail glass. Garnish with a thin slice of lime.